Save up to $5,000 on a complete Miele kitchen. Get up to $1,600 with purchase of select KitchenAid brand appliances. The kitchen is where life happens—so make every experience in it uniquely yours while saving up to $9,397. Get up to 15% off with purchase of a qualifying 3-Piece Kitchen Package. Get up to 12% back with purchase of select Bosch kitchen packages. FREE 11-Piece Chantal® Cookware Set with a purchase of GE Profile™ Induction Range (PHS930). 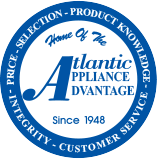 Get up to $1,500 with purchase of a range, refrigerator, and a qualifying BlueStar or Prizer Hoods ventilation product. SUITE DEAL 1. Buy cooking, get free ventilation or 50% off any dishwasher. SUITE DEAL 2. Buy cooking + french door refrigerator, get free ventilation + 50% off dishwasher. SUITE DEAL 3. Buy cooking + built-in refrigerator, get free ventilation and free dishwasher. Get up to $900 off any Flex Duo Range. Save $150 with a purchase of any 30 Series Dishwasher. Get up to $300 with purchase of qualifying Wall Ovens. Get up to $300 with purchase of qualifying Free Standing or Slide In Range. Get up to $100 with purchase of qualifying Cooktop. Save up to $420 with purchase of select 4-piece appliance suites.